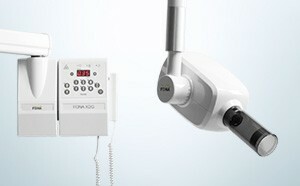 Acquire high image quality with every exposure. Thanks to the finest focal spot of 0.4 XDG delivers sharp images with optimal details, both with high resolution sensors and finest grain films. FONA XDG is available as a mobile or wall mounted unit with four different extension arm lengths. Thanks to the wide configuration choice it integrates perfectly into your dental practice. 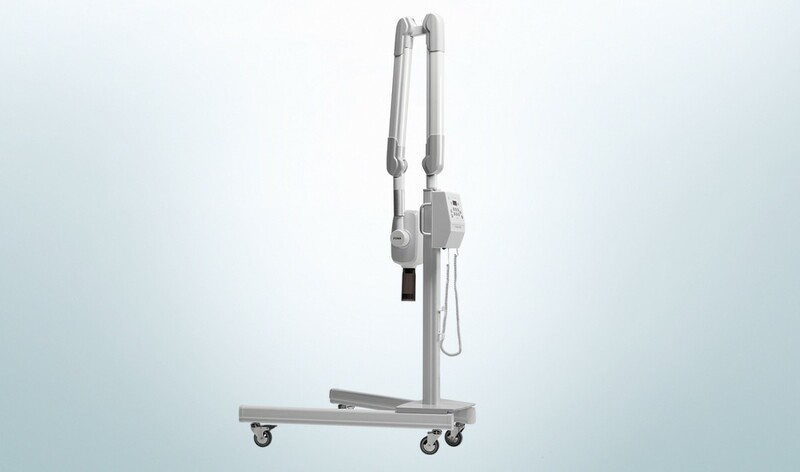 Simply select from 6 preset anatomical programs and 2 patient sizes and the exposure settings will be automatically set in a range from 60 ms to 3.2 s assuring high image quality with each exposure. 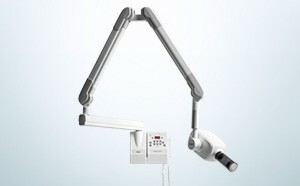 You can also select a special program for bitewings and in case you use a digital sensor. 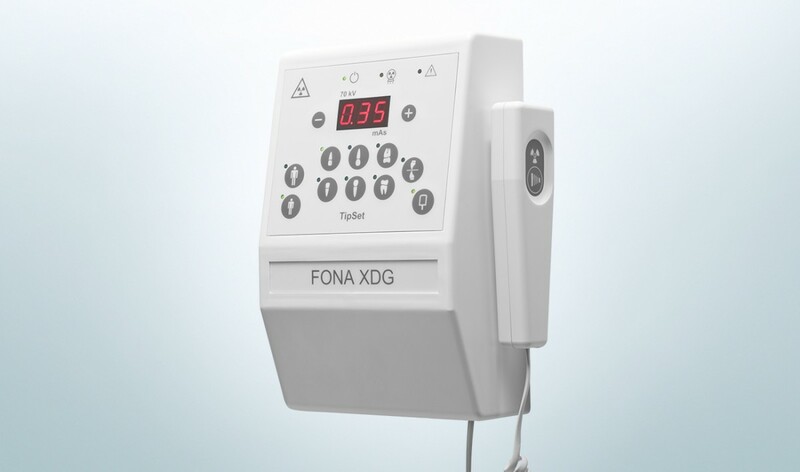 Automatic correction for mains voltage fluctuations, full protection against tube over heating with accurate cool down procedure and back up timer will make XDG your reliable companion for years to come. 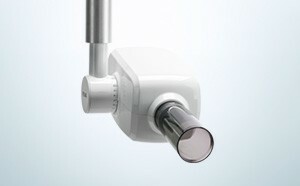 Thousands of units installed worldwide provide high quality imaging every day. 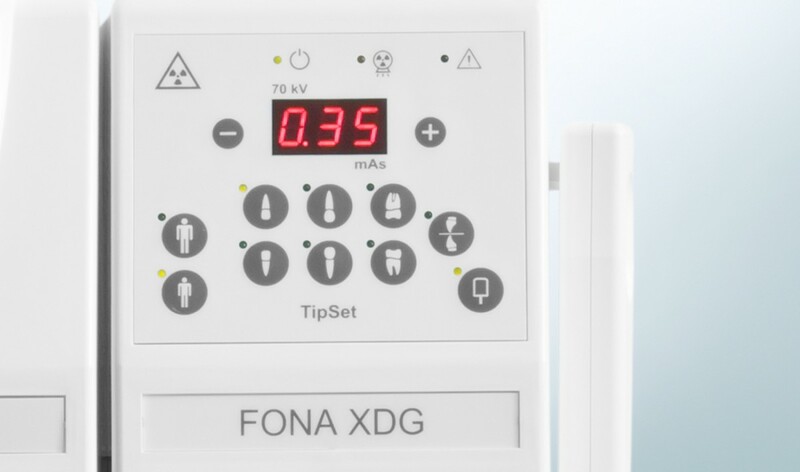 XDG will flexibly adopt to the layout of your clinic. 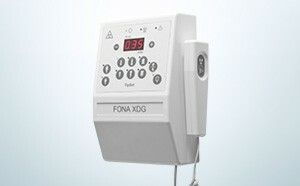 Timer and hand switch can be remotely mounted allowing the control of the exposure from outside the X-ray room. 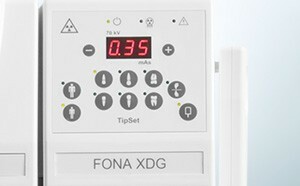 Benefit from the wide FONA product family and use CDR, CDRelite or ScaNeo together with your XDG. 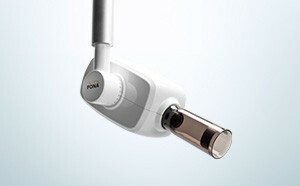 Thanks to the preset exposure settings they are the perfect match granting excellent image quality with every exposure. 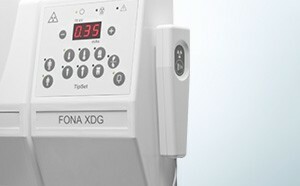 FONA XDG produces excellent image quality even in the most demanding working conditions. Thanks to the finest focal spot of 0.4 it delivers sharp images with optimal details, both with high resolution sensors and finest grain films. 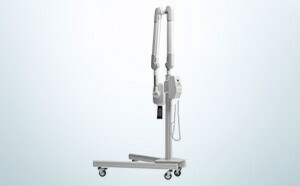 The light, solid and stable arm assures smooth movement and reliable positioning. 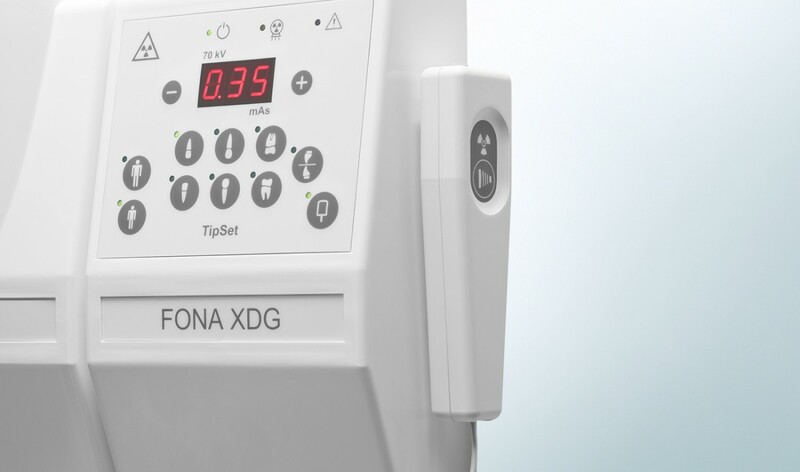 Thousands of satisfied customers use XDG and experience the ergonomy, ease of positioning and final position stability every day. 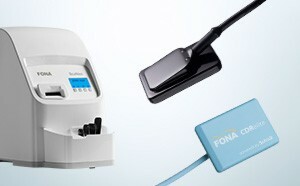 Select the tooth type, patient size and receptor technology and you are ready for exposure. 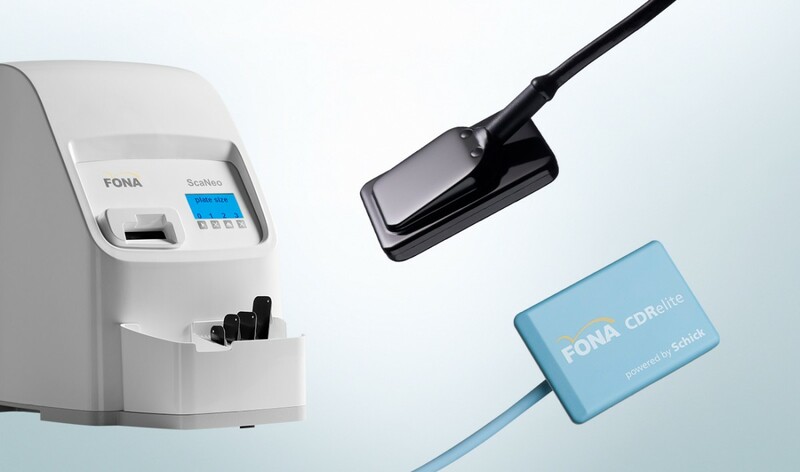 Preset exposure program selection is fast and easy allowing you to save time while being sure that you will receive a high quality radiograph.